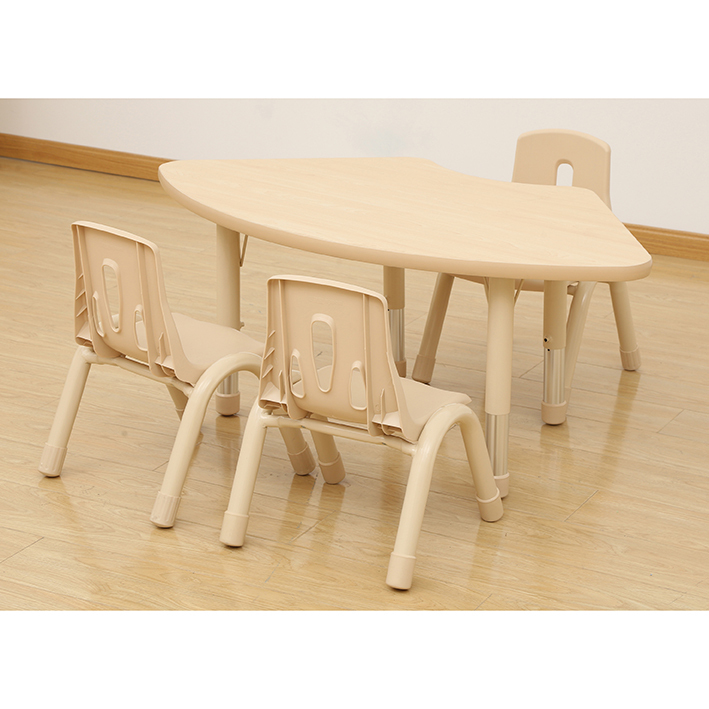 Our modern Elegant range of height adjustable tables, chairs and storage units gives you the option of bringing neutral calming tones into your classroom – finished to a high standard this range helps to create a more effective learning environment for young children. This height adjustable table delivers a contemporary design and the ability to tailor the height from 370-620mm, making it the perfect solution for those looking for style and versatility. Available in Maple with a tough rounded PVC edge, these high quality height adjustable tables are available in 4 shapes – large and small rectangle, round and fan shaped. Legs are height adjustable (370 – 620mm). Sturdy 48mm tubular metal powder coated legs. 30mm thick natural Maple wood top. Polypropylene feet to prevent scratching.